Oh dear, a little too much starch, I believe, Master Wayne! 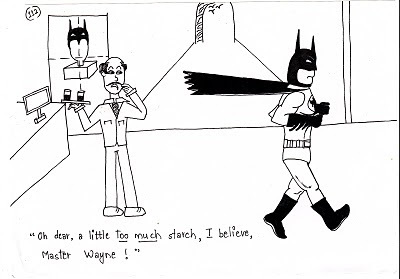 Hahaha, I hope Batman isnt asked to rescue or else, I wonder what happens. Lovely comic though. Are you coming up with more?